The food at your wedding should be just as unforgettable as the entire event. That is where Portland Catering Company comes in. 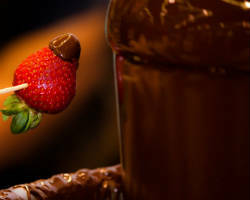 They specialize in making the culinary experience on your wedding day one to remember. First, they help you decide on a menu, which of course can be customized, and then they offer a tasting to make sure the food they serve is to your standards. 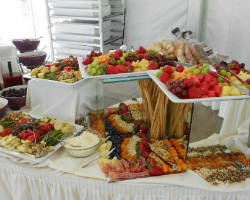 This wedding catering company in Portland provides nothing less than perfection in food and service. Chef Du Jour Catering has built a stellar reputation by providing the most flavorful, fresh dishes for every single event they are hired for. They enjoy working with clients, which is apparent as they share in the excitement of your event. They want to make it as special as possible for you and your guests. This company is more than happy to make custom dishes and meet your specific dietary needs while still proving restaurant quality food. Catering in Portland, OR has never been so friendly or so good. 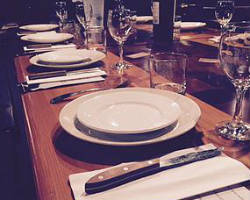 Jake’s Catering is in a league all of its own; as it has been recognized by experts as one of the largest and most innovative catering companies in Portland. The professionally trained culinary geniuses can bring any dream you have to life. They work to not only give you the most flavorful dishes, but also ones that you love. This is your day so you can either have the catering company make their tried and tested favorites, or let them know what food you like best. 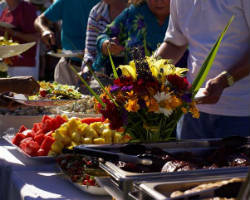 Catering At Its Best has built its reputation on being the best full-service catering and events company in Oregon. They know this is the most important day in your life, which is why they strive to make your wedding vision come to life. Whatever food they serve, you can trust that it will always be delicious. You can let them have free reign and make dishes that have been proven successful at past events or give them guidance if you would like to serve Mexican food or have Italian catering. If you are looking for a Portland catering service with a flawless record of providing great meals for beautiful events, then Premiere Catering is definitely for you. This company has been making gourmet dishes for weddings since 1985. 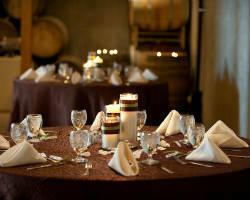 With their extensive experience, they know how to cater any event with grace and style. This company has also been evolving with the ever-changing food trends. Your preferences and their culinary style will be melded to create a personal menu you will love. To Dine For Catering doesn’t just provide affordable and delectable meals, but they cater to your needs and wants fully to ensure you have the best culinary experience possible on your wedding day. 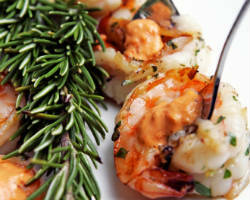 Whether you want a crawfish bake or an upscale menu, they can meet the style of your event while keeping you on budget. After a complimentary tasting, you will feel confident about the service you and your guests will have and will have a stress-free catering experience. For Company Tonight Catering, everything they do is personal and has a unique touch. They work closely with each couple to make sure they are creating a menu everyone will love and one within their budget. For weddings, this company can either set up a buffet for your guests to serve themselves or offer a full family style service. In either case the food will be fresh, hot and delicious. 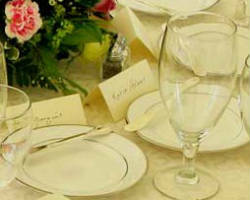 They also provide all of the china, silverware, glassware and linens, for you and your guests. 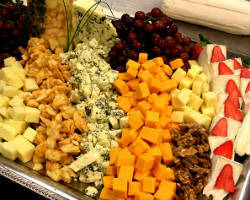 Vibrant Table Catering & Events isn’t just about providing top quality food for your party or event, but rather strives to provide a unique culinary experience in a beautiful atmosphere. With a reputation for impressing the most critical of guests, this catering and events service match the menu they serve to your personal style and spirit of the event. Whether you want a family BBQ style reception or a traditional ballroom affair, they can make your reception vision come true. 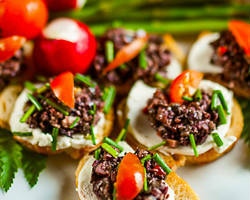 Art of Catering is a truly personalized catering experience. They do not have pre-developed menus for you to choose from but rather give you the freedom to tell them what you like and want from the experience and they create a menu from there. After a consultation, they present you with a possible menu for your approval and then they make that menu come to life at your event. This local caterer has a reputation for providing gourmet dishes that you will surely love as they were designed for you specifically.